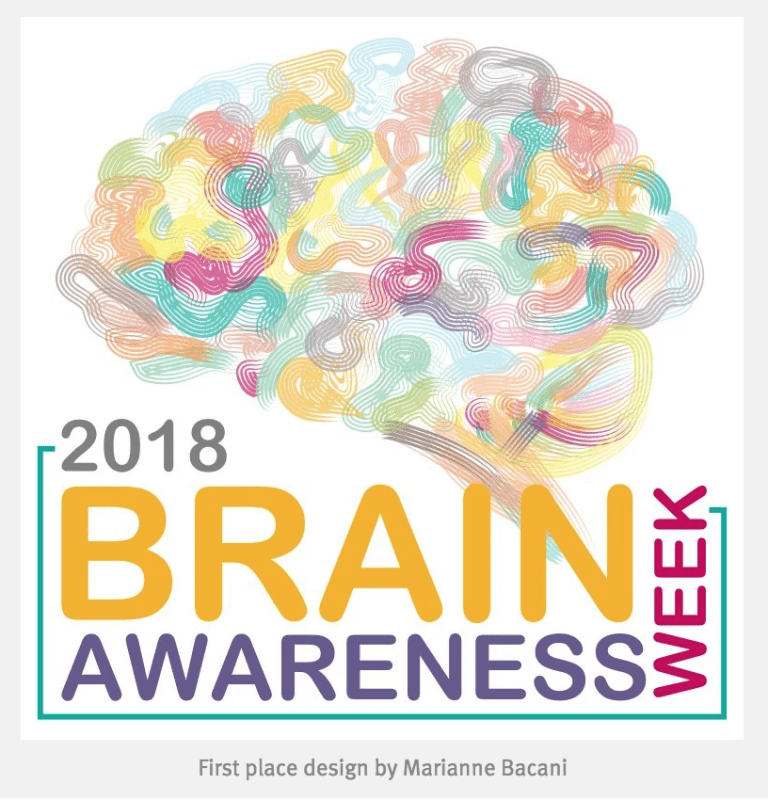 Neuroethics Canada is pleased to share that our submission for the 2018 Brain Awareness Week (BAW) Sticker Design Contest won first place and will be the face of next year’s festivities! We would like to take this opportunity to thank you for your support and votes! In the meantime, make sure to follow us online through our socials (@NeuroethicsUBC) for the latest and other updates about our free open-to-the-public events for 2018 BAW and other projects! We look forward to seeing you all at next year’s BAW celebrations! Vote for our design submission at the 2018 Brain Awareness Week Sticker Design Contest! Neuroethics Canada is excited to share that our entry for the 2018 Brain Awareness Week Sticker Design Contest has been chosen as 1 of the top 5 finalists! Our design, as seen below, was created by our in-house “brain illustrator”, Marianne Bacani, as a representation of the diverse and festive annual worldwide celebration of the brain! Voting is open to the public and will be live until November 30, 2017. Brain Awareness Week is the global campaign, hosted by the Dana Foundation, to increase public awareness of the progress and benefits of brain research. Every March, BAW unites the efforts of partner organizations worldwide in a celebration of the brain for people of all ages. Activities are limited only by the organizers’ imaginations and include open days at neuroscience labs; exhibitions about the brain; lectures on brain-related topics; social media campaigns; displays at libraries and community centers; classroom workshops; and more. Vote for our video at the 2017 IHDCYH Talks Video Competition! Neuroethics Canada is excited to share that our video submission, Words, Worlds, and Wisdom, is in competition! Please VOTE for our video by clicking on the “thumbs up” icon before November 30th, 2017 at 5:00 pm EDT! This video highlights the importance of the terminology used to describe disabilities around the world with an emphasis on words used to describe neurodevelopment disorders (NDDs). Words can both reflect and propagate how children with disabilities are perceived and may perceive themselves. “Words, Worlds, and Wisdom” provides examples, including the use of person-first and identity-first language in English-speaking countries, as well as stigmatizing and elevating terminology from other languages. We conclude with suggestions for making the best choices about language to refer to students with NDDs. The IHDCYH Talks Video Competition is a unique opportunity to submit a short video that presents a clear evidence-based message to a lay audience that is designed to have a positive impact on the health of children, youth and families. The objective of the competition is to profile research and ideas within IHDCYH’s mandate to improve knowledge translation and help demonstrate the impact that evidence can and does have on maternal, reproductive, child and youth health in Canada.